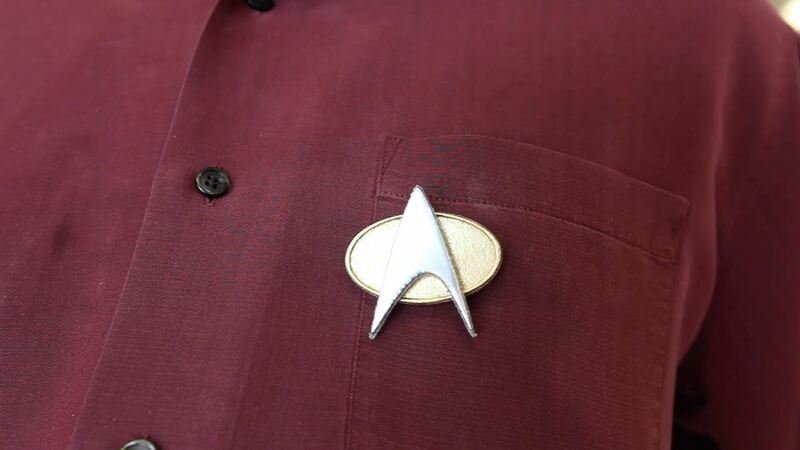 Star Trek Communicator badges rule. If you're a Trekkie, you know they are iconic to the TV series. The Next Generation, Voyager, and Deep Space Nine all had these awesome communicator badges. I designed mine in a product called Easel from Inventables. It's free and available on their website. You could just as easily draw these in Illustrator or Photoshop. You could even use MS Paint. Just pick a style you like. If your going to use a CNC, just load these shapes into the CNC software (or Easel). 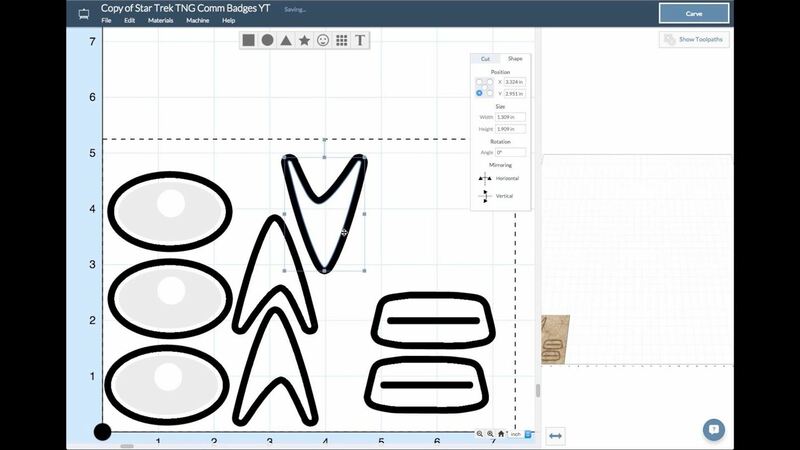 If you're going to use hand tools, you'll want to print these out and use some spray adhesive to attach the templates to your MDF. 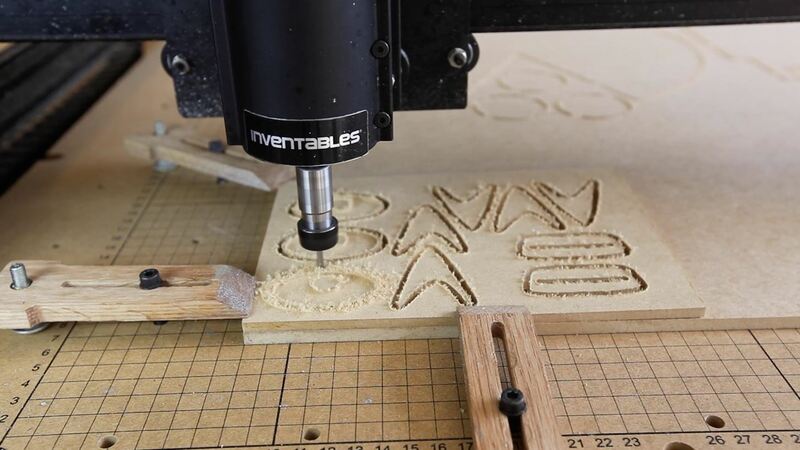 If you're using a CNC, then this step is simple, just sit back and wait. 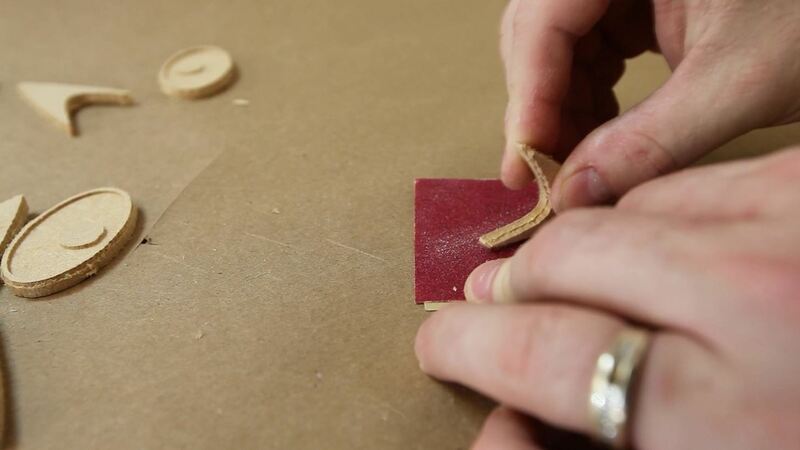 If you're using handtools, or a machine like a band or scroll saw, at this step you'll want to cut out all of the shapes on the outside of the lines. Leave about 1/32" of extra material to sand away later. The next step is to separate each and every piece from the waste-board. 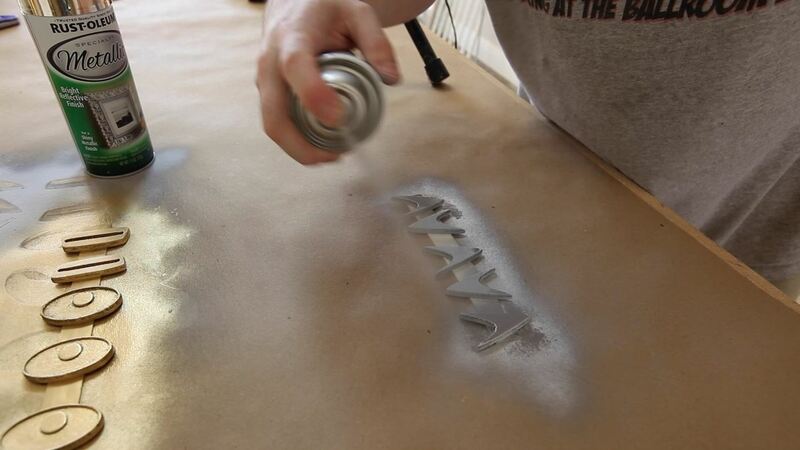 Take some time here and sand them down gently with 100 and then 150 grit sandpaper. Since we're painting them, there's no reason to go higher. As you'll see in my pictures and video, I had some problems. My MDF seems to not be very stable and was chipping away. In the future, I'll buy better quality material. You could also replace the MDF with plastic or metal if you can cut it. I didn't exactly follow Star Trek canon on my paint. But I did get it pretty close. I used silver chrome paint for the federation logo and gold chrome paint for the badge itself. I just used rattle can paint from the local big box store, but you could use an airbrush to get a really nice finish on them if you have one. I used double sided tape to hold them down during the paint process. They don't weigh much and the compressed air from the paint process tends to blow them around the worktop. I used double sided tape to hold them to my shirt. You could also use CA glue to glue a magnet to the back, and then put another magnet behind your shirt. Well, as I said before mine didn't turn out perfect. I has some real problems finishing them due to the quality of my MDF. I'm sure you'll have better luck! If you liked this project, be sure to follow me on Instructables! Also be sure to check out my website and blog at TheGeekPub.com, and subscribe to my YouTube Channel at YouTube.com/c/TheGeekPub!